← What the Hell is a Unicordion? To my surprise… I really like both of these. That new Dolphins logo has some good flow on a helmet. The Jags helmet is really out there with that color fade. It’s like the mullet of helmets, business in the front, party in the back. 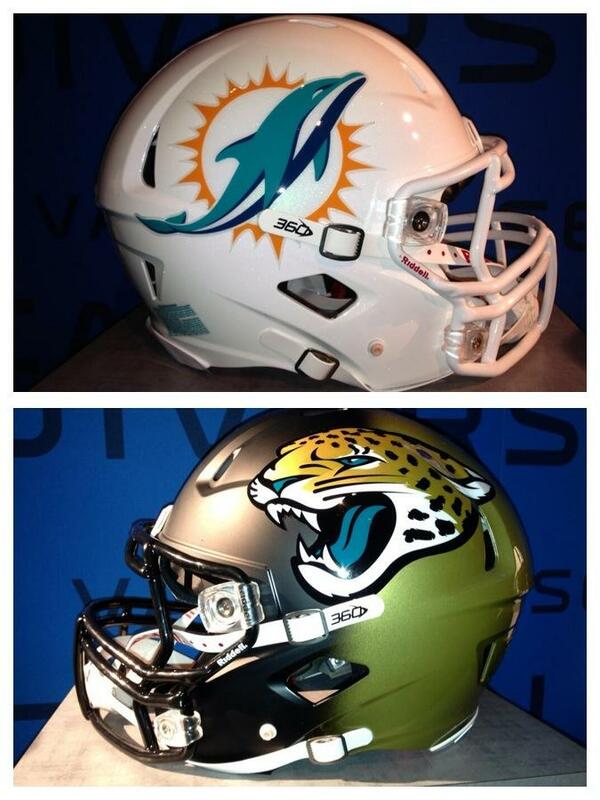 This entry was posted in Football, NFL and tagged dolphins, dolphins new helmet, jags new helmet, jaguars. Bookmark the permalink.